What happens when an Oreo and a cotton candy machine combine their DNA? You can also score these goodies at Ardour, says Metrocurean, all boxed up and ready to be consumed by your happy family (or all by yourself, hiding in a dark room). 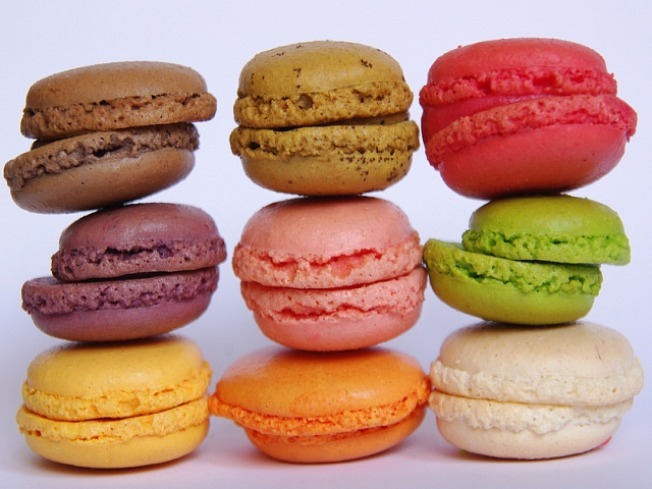 A macaron consists of two thin cookies stuck together with cream -- sort of like a candy-colored Oreo, made from egg whites, almond powder, powdered sugar and normal, non-powdered sugar. And they're not to be confused with macaroons (double O! ), which are made with a heck of a lot of coconut. Plenty of other spots are poised to kick cupcakes to the curb, too, courtesy of the macaron. Cacao (7129 Bethesda Lane, Bethesda) serves up about a dozen types of the sweet treat on any given day, including orange, vanilla and pistachio. ACKC Cocoa Bar (1529C 14th St. N.W.) has flavors that include chocolate, coffee and orange, We also suggest Patisserie Poupon (1645 Wisconsin Ave. N.W.) and Locolat (1781 Florida Ave. N.W. ).